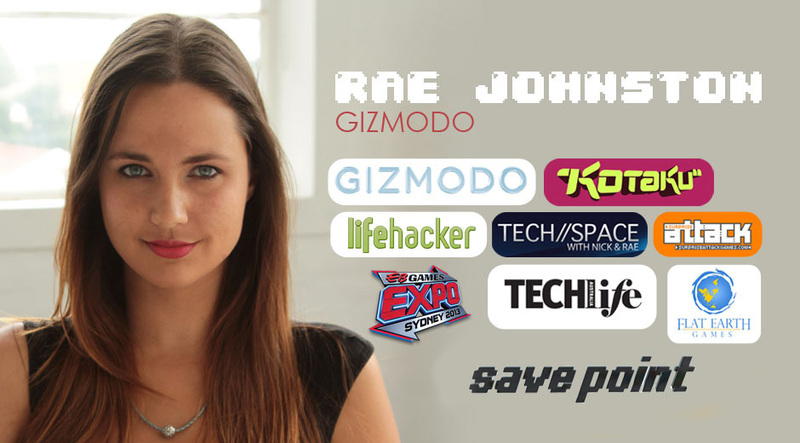 Rae Johnston is a Journalist for Gizmodo Australia, and was previously the Commercial Editor for Gizmodo, Kotaku, and Lifehacker. She has done PR work for Surprise Attack and Flat Earth Games, Co-ordination and hosting for EB Games Expo, co-created and presented for Tech Space, was the Lifestyle Editor for TechLife Magazine, was an original presenter/reviewer for Save Point TV, and has been working professionally as an actor/voice actor for over a decade. She is a high profile advocate for the games industry, regularly appearing on morning TV shows, is heavily involved with the cosplay community, and regularly MC’s at events from Oz Comic-Con to Haven.